Forget Valentine’s Day — it’s Galentine’s Day that we’re excited about! As Leslie Knope would say, there’s nothing more magical than spending a day celebrating your friendships. And since a special occasion calls for equally special food, your Galentine’s Day celebration is truly a time to indulge. But instead of prepping all of your party dishes ahead of time this year, we suggest that you make an event out of cooking them with your besties. Just put on your favorite tunes, make a batch of mimosas and get to creating one of these eight delicious breakfast dishes. Making your own pancakes and cannoli cream from scratch might sound intimidating, but it could be the perfect Galentine’s Day activity. If you and your besties love creamy cannolis and fluffy pancakes (who doesn’t? 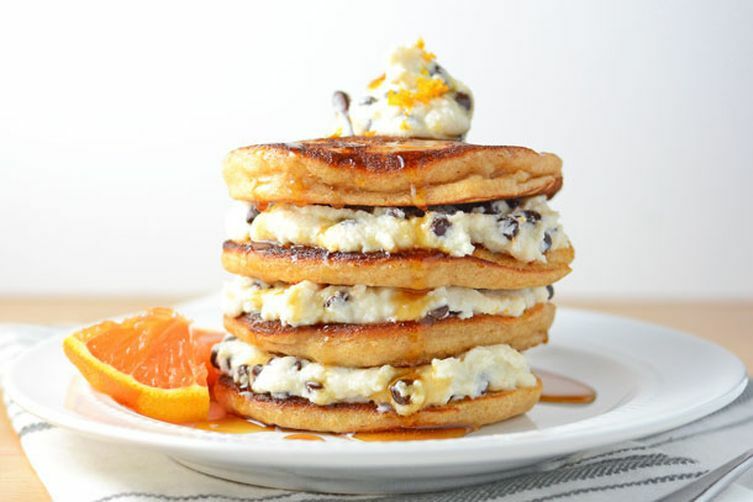 ), then you’ll go crazy over this orange cannoli pancakes recipe from Food52, which is a hybrid of the two. This indulgent breakfast dish consists of homemade orange-vanilla pancakes stacked on top of each other with cannoli cream slathered in between each pancake. If you want to cut down on the total prep time for this recipe, you can always use boxed pancake mix. Although we can’t guarantee that it’ll taste as delicious. 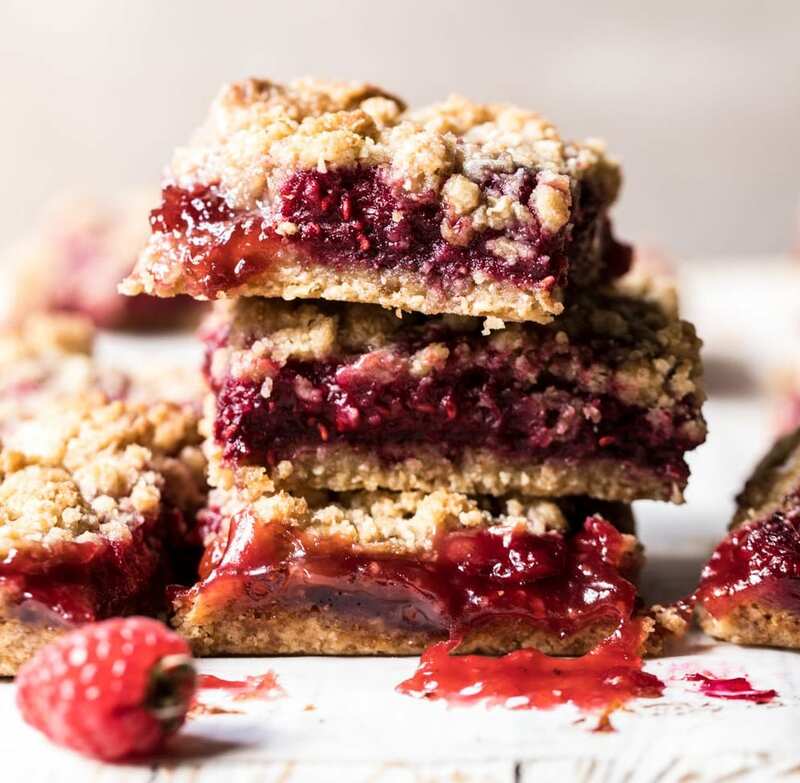 These buttery, raspberry crumble bars are so pretty that you’ll have a hard time eating them — but eventually, you’ll give in because they’re so irresistible. The bars are made with fresh raspberries, jam and sweet peaches sandwiched in between two layers of buttery cinnamon oat crumble. They basically melt in your mouth! Get the full recipe from Half Baked Harvest. Homemade crepes would be the perfect addition to any Galentine’s Day party. 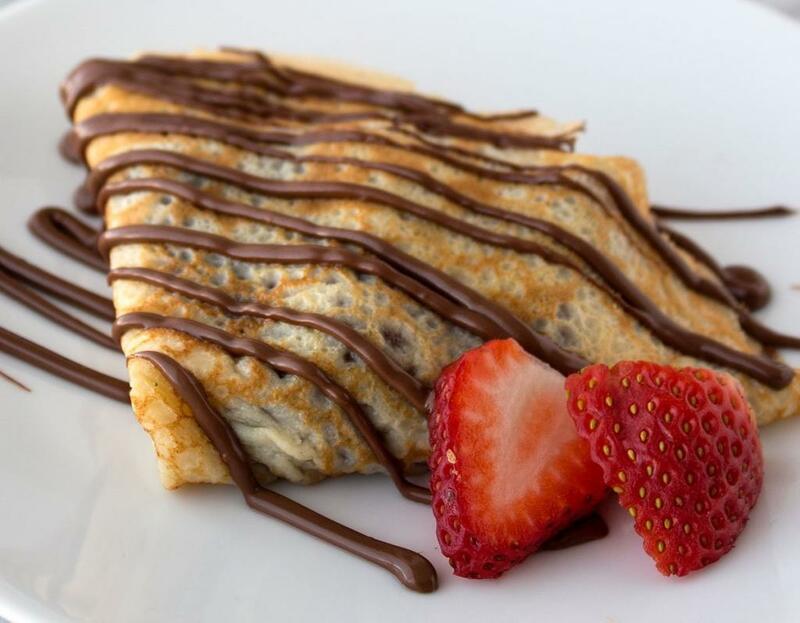 Regardless of whether you and your besties like ones filled with jam or Nutella, you’ll find that making crepes from scratch isn’t actually that difficult. 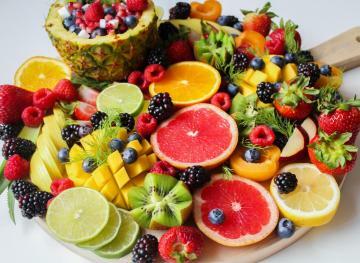 You won’t need any special equipment — just a blender, a small nonstick frying pan and a spatula. 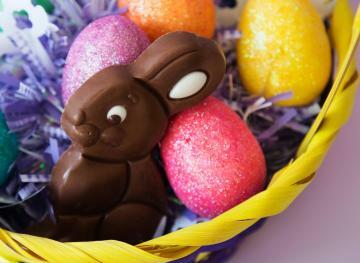 To make the batter, you need all-purpose flour, eggs, milk, water, salt and melted butter. If you wish, you can prep the batter the night before and then just cook the crepes once your guests arrive. Get the full recipe from Handle The Heat. A Galentine’s Day party isn’t complete without a celebratory signature cocktail, and this raspberry Bellini recipe from Life, Love and Sugar is perfect for the occasion. 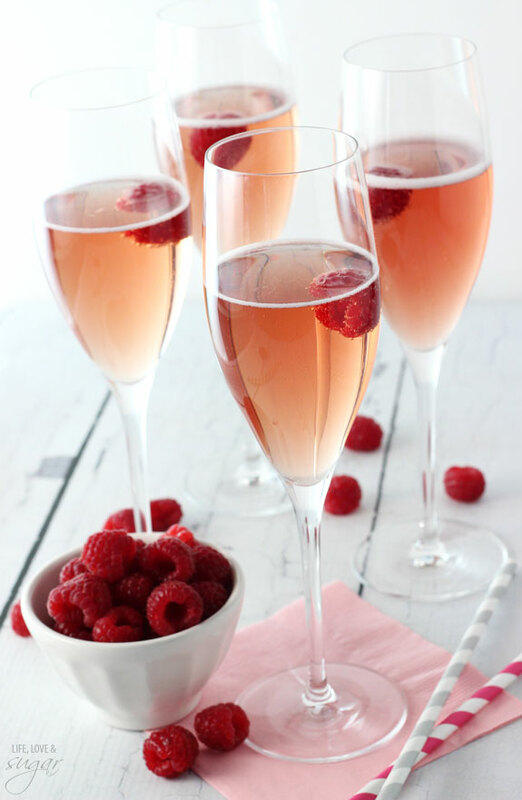 To make it, you need Chambord (raspberry liqueur), champagne and fresh raspberries. Don’t forget the champagne flutes! 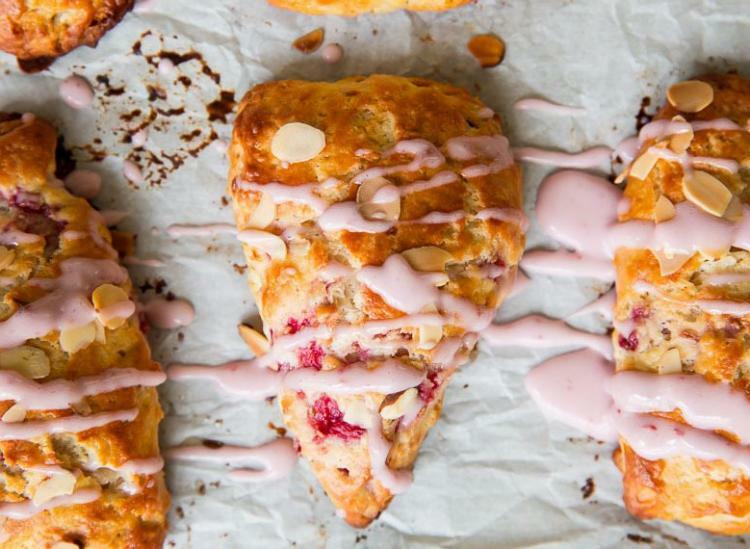 Scones are the perfect classy breakfast pastry to serve at your Galentine’s get-together. 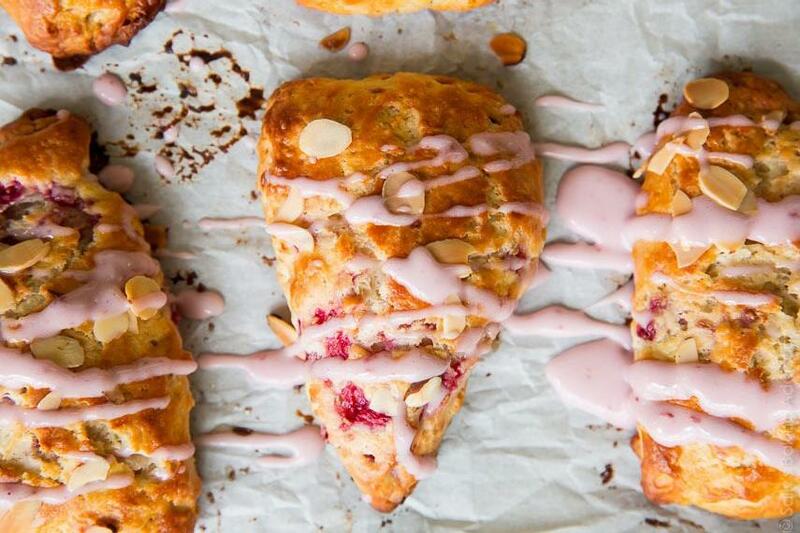 These raspberry almond buttermilk scones from Sally’s Baking Addiction are made with buttermilk, filled with fresh raspberries and covered with a pink raspberry and almond glaze. It’ll take you an hour to make them, and the recipe yields eight scones. 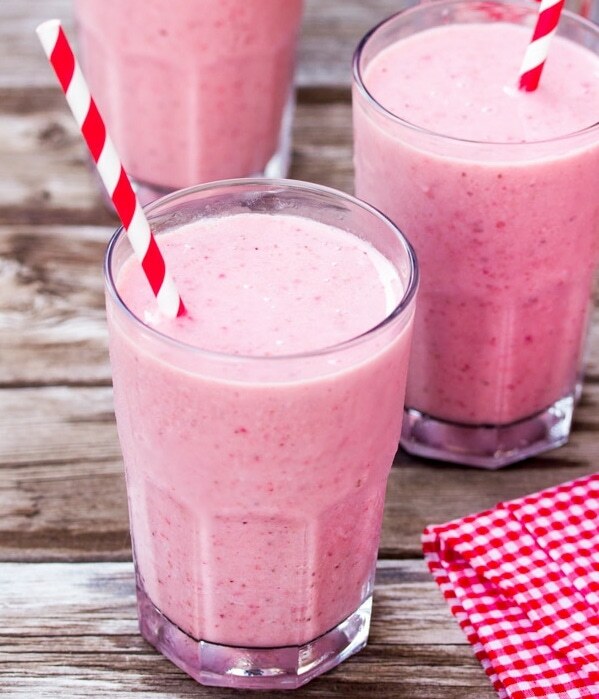 This strawberry smoothie recipe from A Spicy Perspective can be made with just three simple ingredients: frozen strawberries, milk of any variety and strawberry jam. It’s a perfect non-alcoholic alternative to the Bellinis that you’ll be serving at your Galentine’s Day party. If you and your friends typically gravitate towards savory brunch foods, you might want to consider trying this beet, honey and goat cheese bagels recipe from A Beautiful Mess for your Galentine’s gathering. 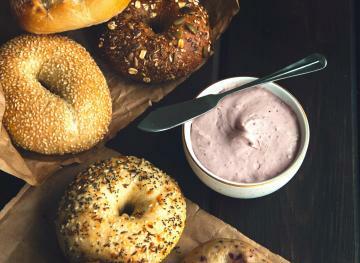 The dough of these bagels is made using beet juice and honey, giving them that pretty pink glow. Since this recipe is a little more labor-intensive than others on the list, we recommend it for bakers who aren’t afraid of a little challenge. 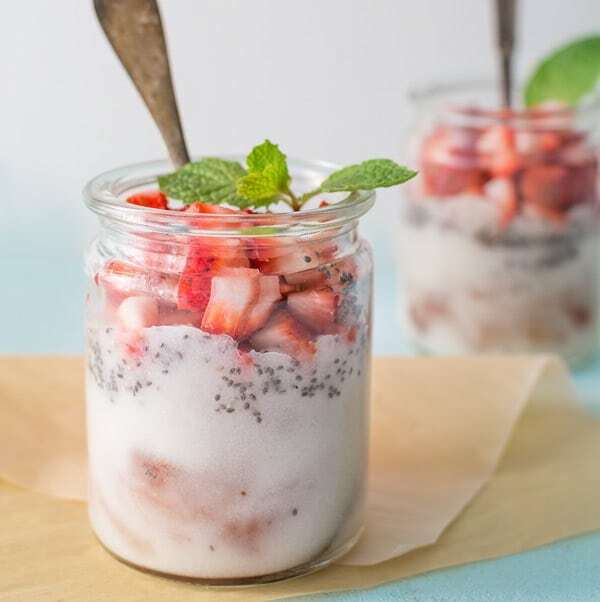 For those fitness-focused friends of yours who insist on eating healthily even on special occasions, consider making this five-ingredient semolina and strawberry “pudding” recipe from Cooktoria. Not familiar with semolina? It’s a type of ground wheat that’s typically used to make porridge, pudding, pastry fillings and pasta. It’s fiber-rich and super filling, so your health-nut guests will love it. 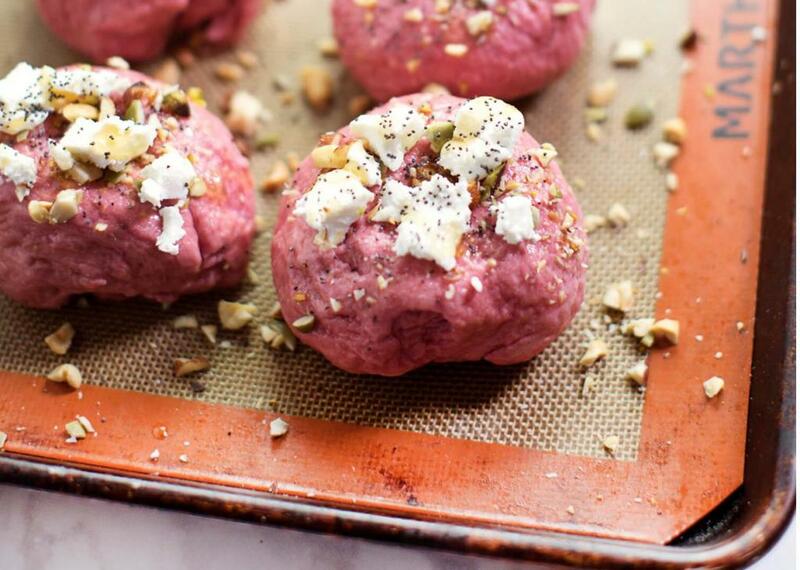 Plus, you can make this recipe in just 15 minutes.